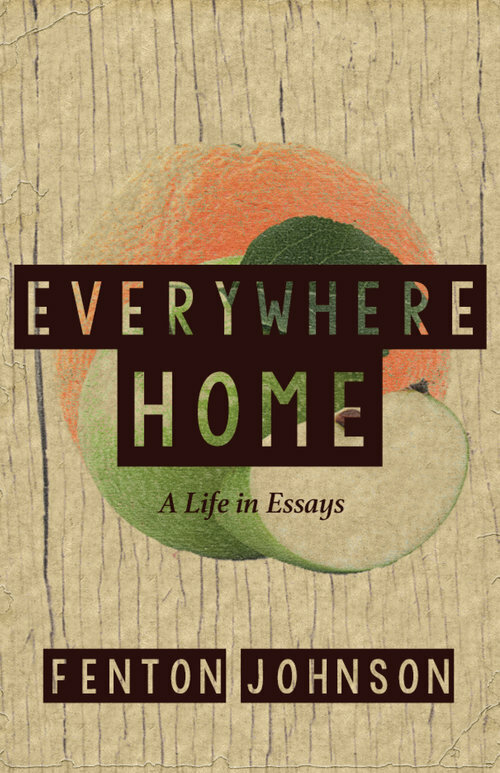 Put simply, Fenton Johnson’s Everywhere Home: A Life in Essays (Sarabande, 2017) is dazzlingly encyclopedic, chronicling both the peculiarities and mundanities of queer life over the last thirty years. The love child of Susan Sontag and Oscar Wilde, two looming figures who positively haunt these essays at every turn, Johnson writes here with a graceful and specifically queer promiscuity, covering the seemingly wide gulfs between the AIDS pandemic and urban gentrification, Kentucky and San Francisco, Paris and Tucson, faith and doubt, and the relationship between siblings born vs. the relationship of siblings chosen. Unapologetically smart and visionary, Everywhere Home: A Life in Essays is simply required reading. What radiates from Johnson’s voice even more than a nonexistent, yet omnipresent sense of time is a keen and novel sense of place. “Only mad dogs and white men would attempt to inhabit this godforsaken place,” he writes in “Dreamers and Fools,” concluding that “at this moment of the American Empire’s decline, this science fiction setting is home for our premier arts festival… the landscape of Burning Man.” His childhood Kentucky is topographically rendered vis-à-vis its Christian sects: “I grew up in the Kentucky Knobs… steep, Catholic-ridden ridges that form a ragged barrier between the ruling-class Presbyterians and gentleman-farmer Episcopalians of the rolling Bluegrass to the north and east, and the foot-washing Baptists and dirt-poor Pentecostals of the lumpy Pennyrile to the south and west;” as a formerly evangelical turned queer atheist also of the “westward-flung, north-west-curling finger of the Appalachians,” I can personally attest to this vivid demarcation of class and religion and one’s very being. Of course, place and time are intrinsically bound ideals, and Johnson portrays this peculiar inextricability with an awareness I have rarely, if ever, encountered in contemporary literature. “San Franciscans’ fatal flaw,” he writes in “City of Innocence and Plague,” “is to misunderstand the object of our adoration. We style it the City—not even New Yorkers are so fixed on the habit—but in fact it is only another of the infinite names of God, a word I use to name this present moment, this here and now.” So many of these essays—whether they take on as their central theme AIDS or the sublime or a modern Narcissus in a Tucson locker room—consider the predicament of living in the waning American empire. “In these dark days of the Republic,” Johnson writes back when Donald Trump was just an odd reality star and hotelierm not our Commander in Chief, “anyone who’s not depressed or angry isn’t paying attention, but antidepressants stand in nicely for the soma of Huxley’s Brave New World. The future is now. We have dug our graves and we lie in them, complacent.” How astute, not to mention fortuitous. I say we want more of Johnson, not less, and my reasons for this claim might be controversial: in an era when much queer nonfiction–especially that written by gay men with freshly minted MFAs–reads as grousing and uncomplicated “thought pieces,” Johnson muddies the oft expected “gay-man-as-victim” narrative at every turn. He plainly refuses victimization despite many of the essays portraying the lives and deaths of his companions, including his partner, at the height of the AIDS pandemic in San Francisco and Paris. If one tradition in modern gay literature is to place blame everywhere but upon the self, Johnson usurps this lineage; he is not interested in blame, it appears, at all. As Johnson writes in his meditation on Wilde’s De Profundis, “The lesser man must berate and blame; the greater man will be an artist in spite of his flaws—it his vocation and his destiny.” Johnson is a fresh artist who has been quietly making his art for decades. It is high time we learn from him everything we can. D. Gilson is a queer writer from the Ozark Mountains. He is the author of two chapbooks--Brit Lit (Sibling Rivalry) and Catch & Release (winner of the Robin Becker Prize from Seven Kitchens); his work has appeared in The Indiana Review, The Rumpus, Beloit Poetry Journal, and Assaracus. A graduate of the MFA program at Chatham University, D. is currently a PhD student in American Literature & Culture at The George Washington University. Great to hear Fenton Johnson has a new book. He’s a wonderful writer with an insightful mind and an enlightened spirit. I’ve liked –and been changed by– everything of his I’ve ever read.